Gregory's just an average middle school kid. He's not a star like his older brother or a genius like his younger sister. He misses his good friend who recently moved away, and he hangs out with close friends every day to do homework. Gregory realizes he wants to spend more time writing and working on projects besides homework, and it first it feels like there's nothing that can make a change. When his questions turn into a full homework strike, Gregory wonders if it's worth it to take on a system to advocate for change - or if all he'll get are lower grades and a bunch of trouble. 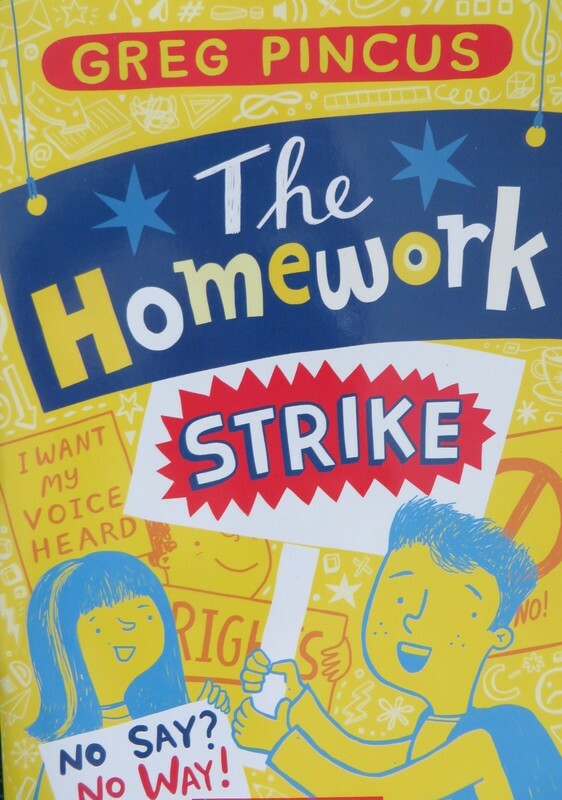 As an educator who has worked with hundreds of children, as well as someone who believes our culture needs to re-think the purpose of homework, I think this book's story has something useful to offer. Gregory demonstrates civil disobedience lawfully and respectfully, and shows how taking action can provoke discomfort and pushback. It can be lonely, and it can result in unpleasant discussions and consequences. It can also be a terrific learning experience. All these things about the book work well. My biggest complaint, again - as someone who has worked with lots of students - is that the dialogue is very inconsistent. There's some slang and some attempts at familiar humor between student characters, but that part of the writing never feels like real middle schoolers talking together. The characters are also not especially distinguishable from each other, although there are components in place that could have made the characters more distinctive. It's a plot-driven text, and it could be used to raise useful discussion questions about the power of students to take action. "Apparently, no one else finds homework as big a problem as you do."